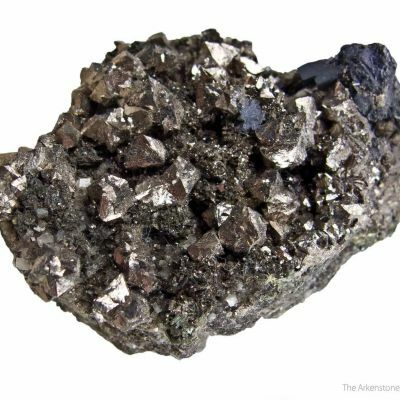 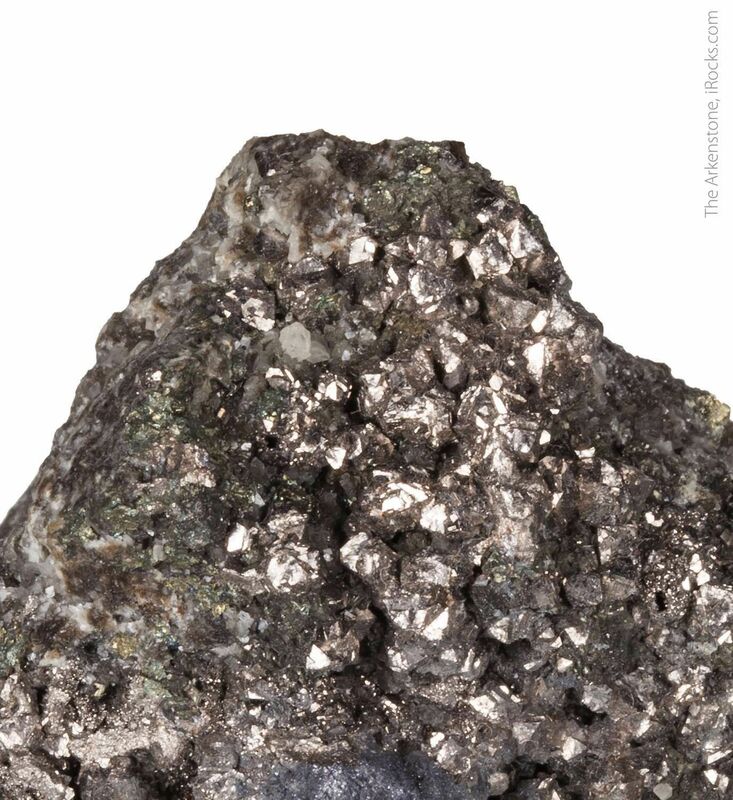 A wealth of 1 to 3mm, silvery white siegenite crystals profusely cover most of this small cabinet specimen whose matrix is composed dominantly of silicified dolomite with disseminated chalcopyrite, galena, and siegenite. 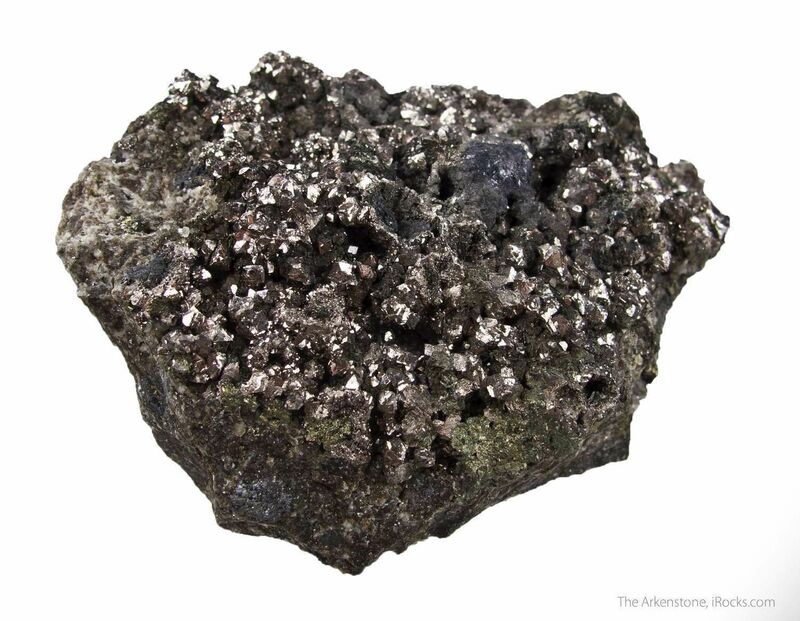 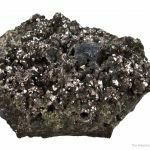 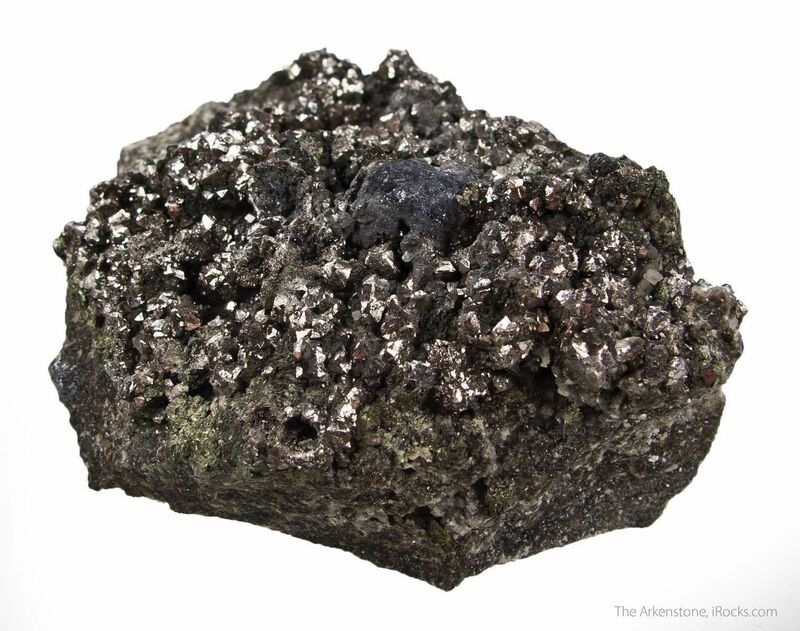 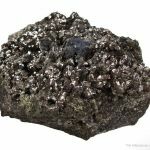 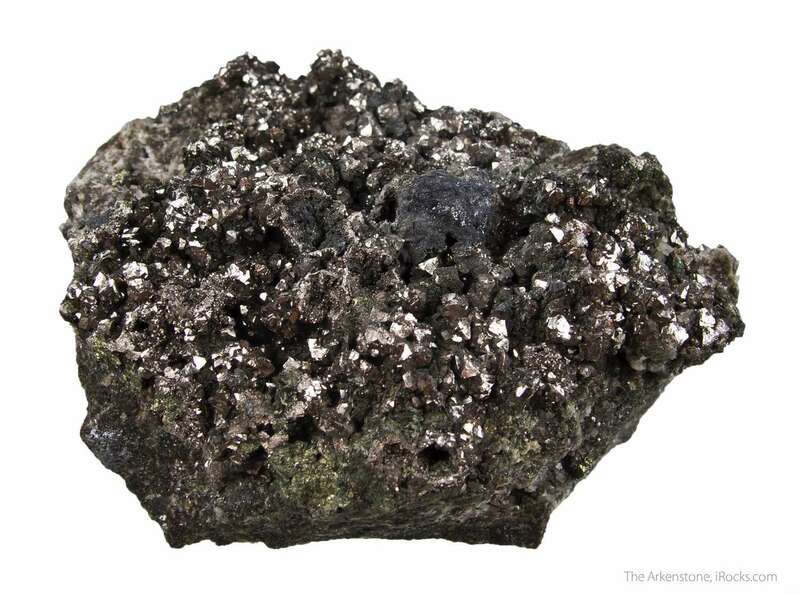 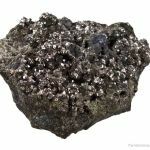 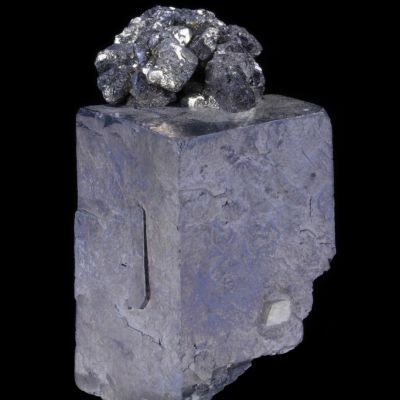 Siegenite is an uncommon cobalt nickel sulfide and is an extremely rare mineral from Missouri's Viburnum Trend. 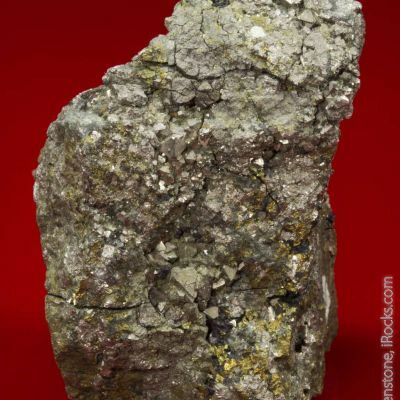 Conserved during mining efforts at the Buick mine in the 1980's.